CHICAGO -- Police warn of groups of males robbing, and in some cases groping, victims in the North Park and Edgebrook neighborhoods on the Northwest Side. The suspects walked up to victims and pulled out a blue steel handgun before punching them, Chicago Police said. The suspects then took money, wallets and cellphones from the victims. In two cases, the suspects groped female victims through their clothes. - about 9:30 p.m. Sept. 1 in the 6400 block of North Hiawatha. The suspects were described as three to five black males, 14-25 years of age, standing 5-foot-5 to 5-foot-10 and weighing 150-190 pounds, police said. 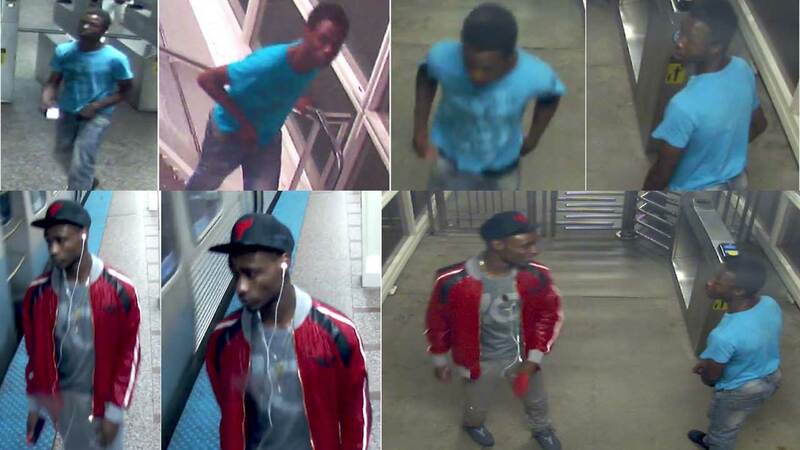 Two possible suspects were seen on the CTA's surveillance footage using a victim's Ventra card. Anyone with information about the incidents is asked to call Area North detectives at 312-744-8263.